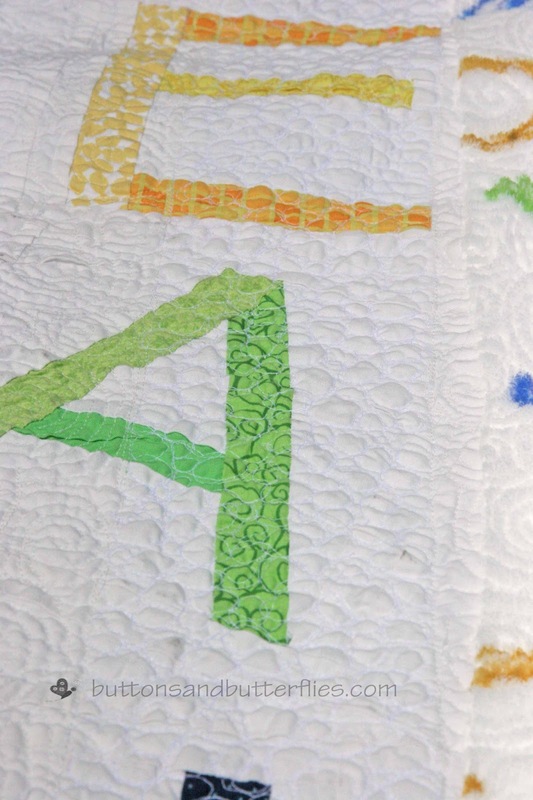 The name of this quilt has two different meanings to me. 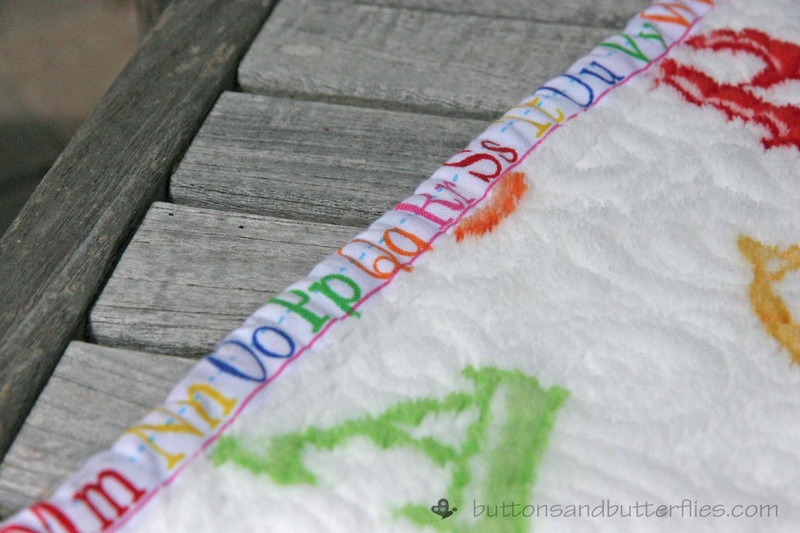 Originally, I named it because my sister had pinned a million things on her Pinterest board when he was a baby...all of them with Primary Colors. The alphabet accents are also her theme for him. So I decided to combine the two! 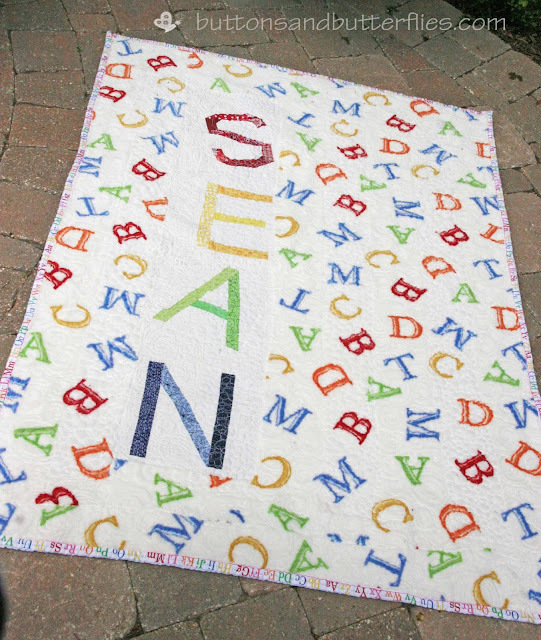 I realize that the quilt is perfectly named because..yes..the quilt IS primarily for my nephew, but my sister might just keep it for herself!!! Here is the part where I tell it to you straight. I am sorta glad to see it go. 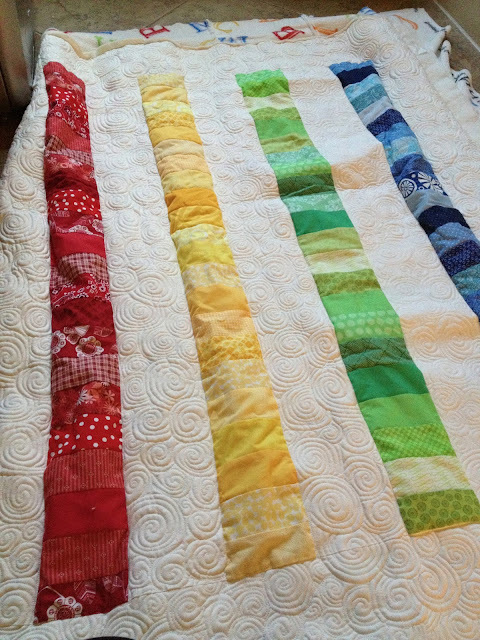 This quilt has either been hanging over my head or given me heartache since I started in August!! 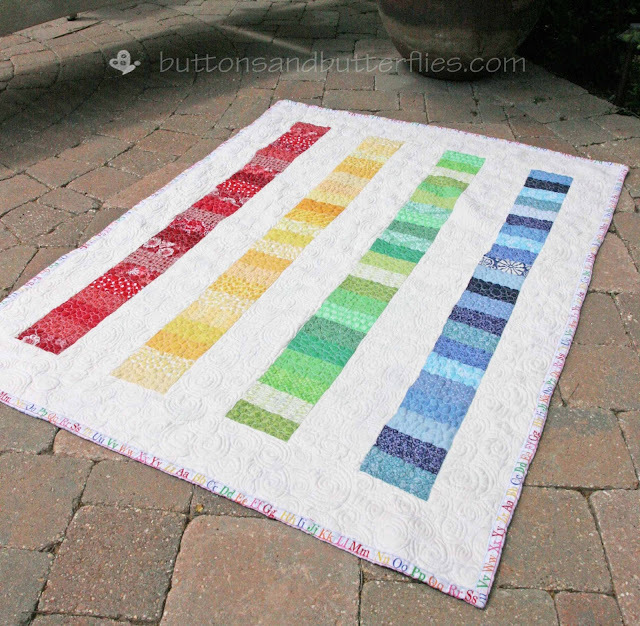 The piecing of the stacked coins from all of my scraps was a breeze. The foundation piecing was pretty straight forward, time consuming like usual, but not over complicated. Piecing my backing proved to be a bit challenging, but not anything I couldn't handle. 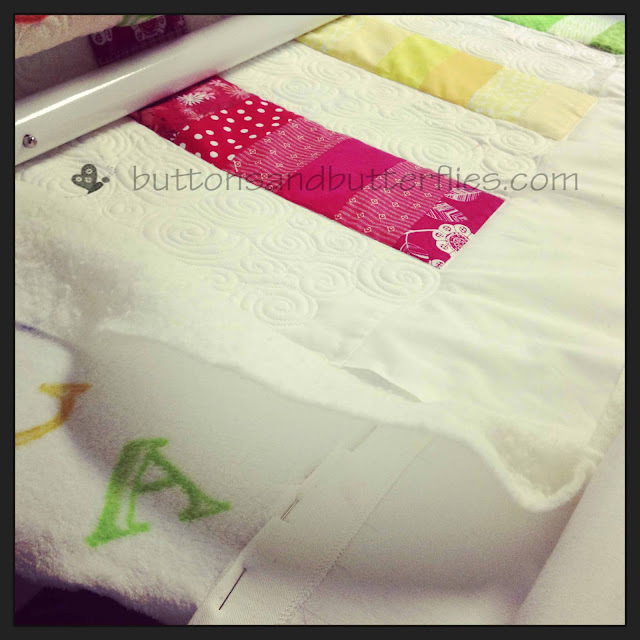 If you follow me on Instagram, you might have caught whiff of my problems when I started to quilt! 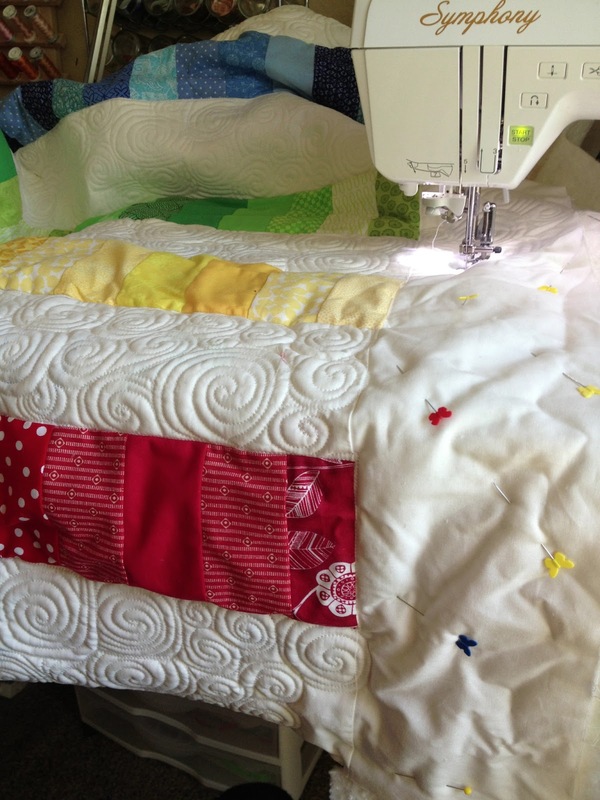 The first major oopsie was on my longarm machine! I was swirling away in the Kona White parts...having a ball. It felt natural and I was cruising. However, I didn't trust my original measurements. I was worried that if I had the name too low, the name wouldn't fit on the quilt. Why I moved it down about 4 inches is beyond me!!! I am absolutely dumbfounded why I went off the grid like that! Guess how much I was short? I managed to do my swirls on my domestic. Getting my stitch length to match the original was tricky, but I was on my way! My biggest oopsie? I had planned to just swirl the background and let the stacked coins be un-quilted. I'm not sure if it was an oopsie or just bad judgement or just a personal preference, but I did NOT like the way the fabric puffed up so aggressively. Almost twisting as if batting was folded inside. The picture above does not do it justice...but needless to say, I was not happy. My plan of attack was to pebble the strips. I cannot express how thrilled I am. Not only did the front look better, but the backing did too! The minky/cuddle fabric gave the hint of the quilting, but the softness of a stuffed animal. All the stitches seem to sink into it. I just love it on a baby quilt! 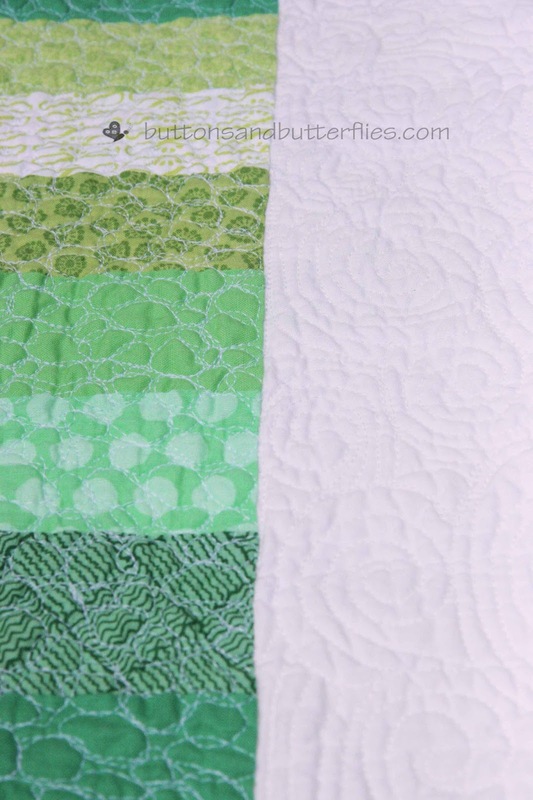 And I especially love how the foundation pieced blocks turned out on the back! It also looked a little strange with quilting on half of it and no quilting on the other. The one lesson I learned? It makes me completely appreciate my longarm even more that I did before! My arms took a good long while recovering from all the pebbles and swirls! The only other panic moment was the binding. 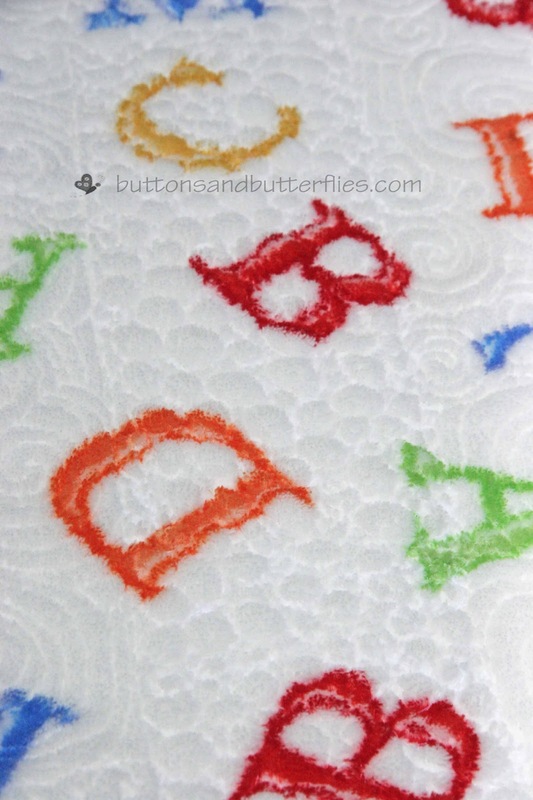 I loved the alphabet fabric from the start. 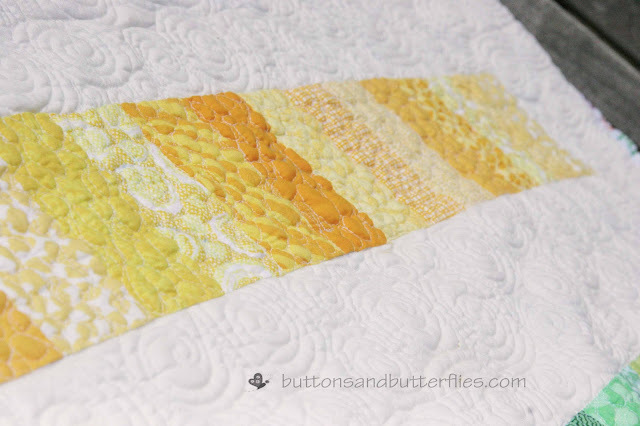 It just seemed the perfect accent for what could just be another boring stacked coin quilt. However, when I started to stitch it on, something nagged me. 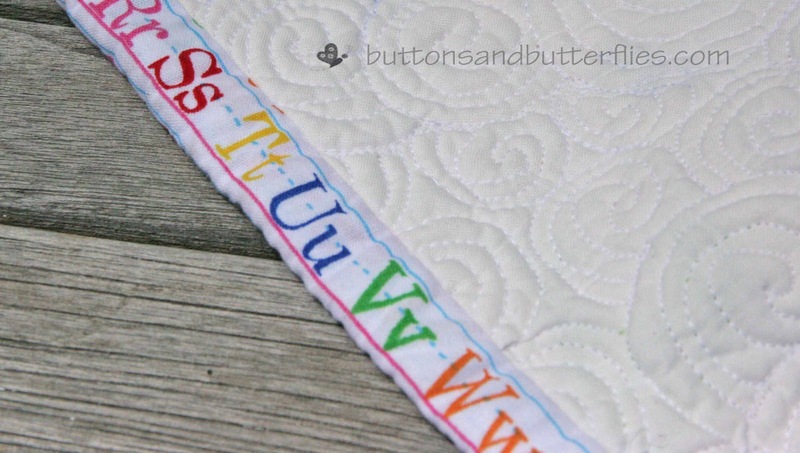 I realized as I was handstitching it on out in the backyard while watching Button shoot some hoops, the background of the binding fabric was VERY white and the Kona Snow is definitely not the same color. But I couldn't resist. I could have picked a solid fabric for the binding, but I couldn't take it off. I love it too much. My sister will just have to keep it inside or look at it by lamplight. You can't tell at all then! Now what? Start my other nephew's quilt. Stay tuned!! 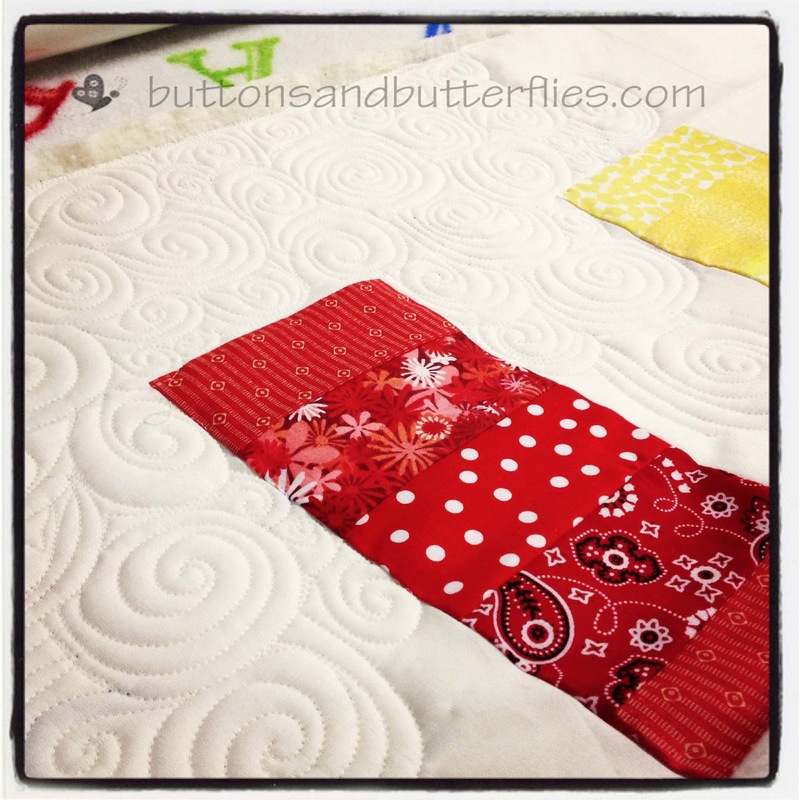 Quilting: Pebbles (DSM) and Swirls (80% LA/20% DSM) by Me! Yes! I started cutting his and posting it on Instagram! I really love it to follow my progress! Heidi this looks fabulous!! Great work! 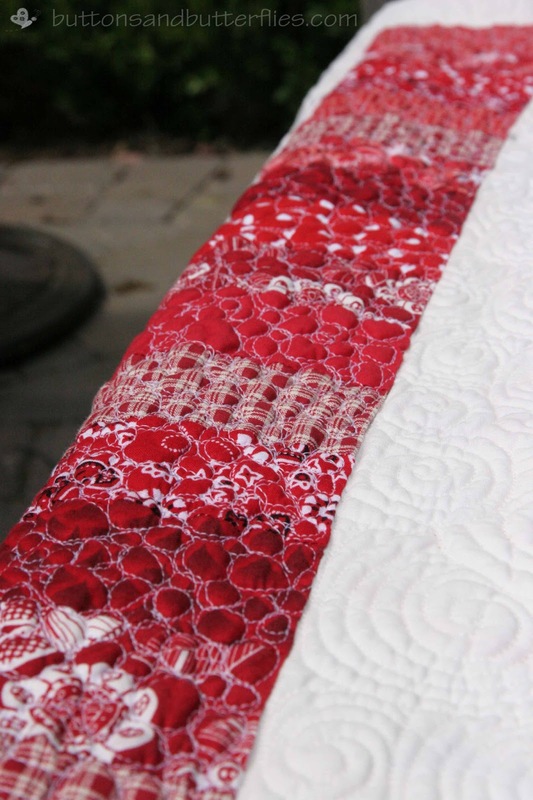 I love that you figured out the quilting -- I was SO worried when I saw it on IG!